Missinglettr can create drip campaigns for Facebook, Twitter and LinkedIn. 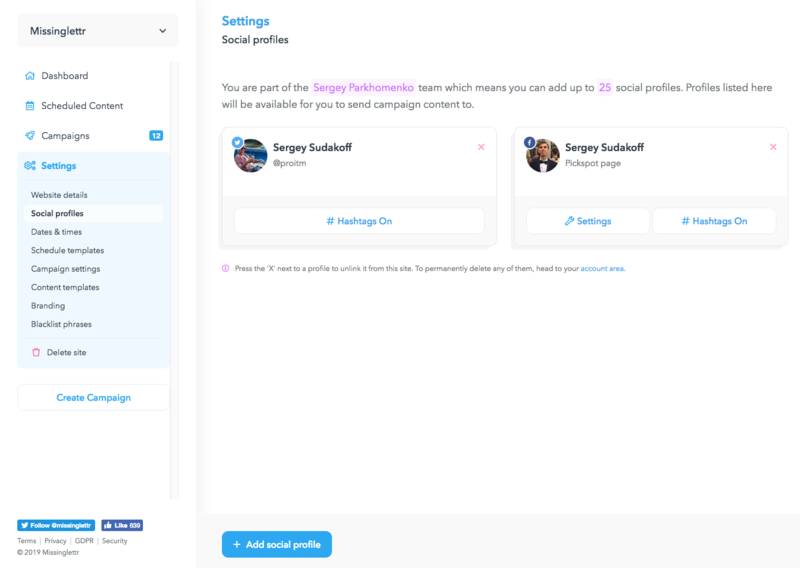 In order to get your campaigns going, you need to connect your dedicated social media accounts first. 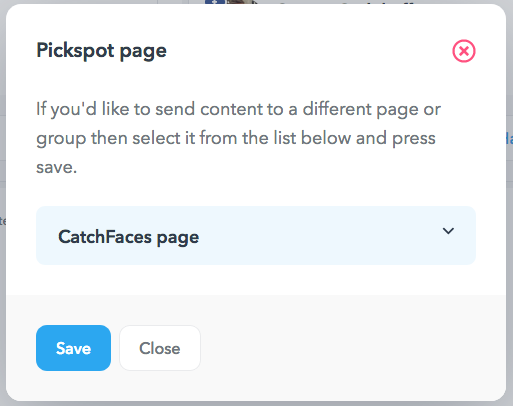 After you’ve picked the platform, you will be prompted to log into your account and authorize Missinglettr to use it for posting the content you define. 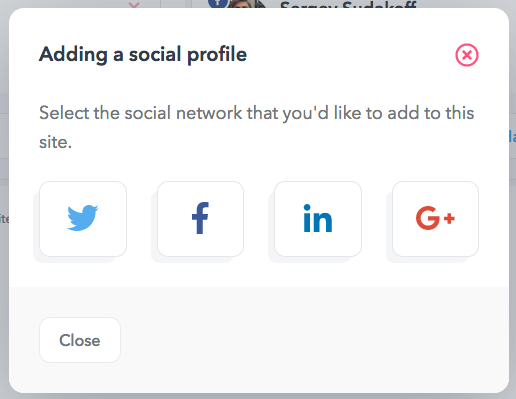 When you connect your profile, you can pick the page you manage via the Settings button. If the Settings button shows nothing, or fails to open, check out this guide. You can toggle hashtags via the # Hashtags button.